Definition was released in September 2016 and features Face Palm, Never Gonna Give You Up, Rock Me Mama, Join The Dots, Livin’ La Vida Loca and The Immigrant’s Lament. The EP was recorded at Seagate Studios and mixed and mastered by Graeme Watt. 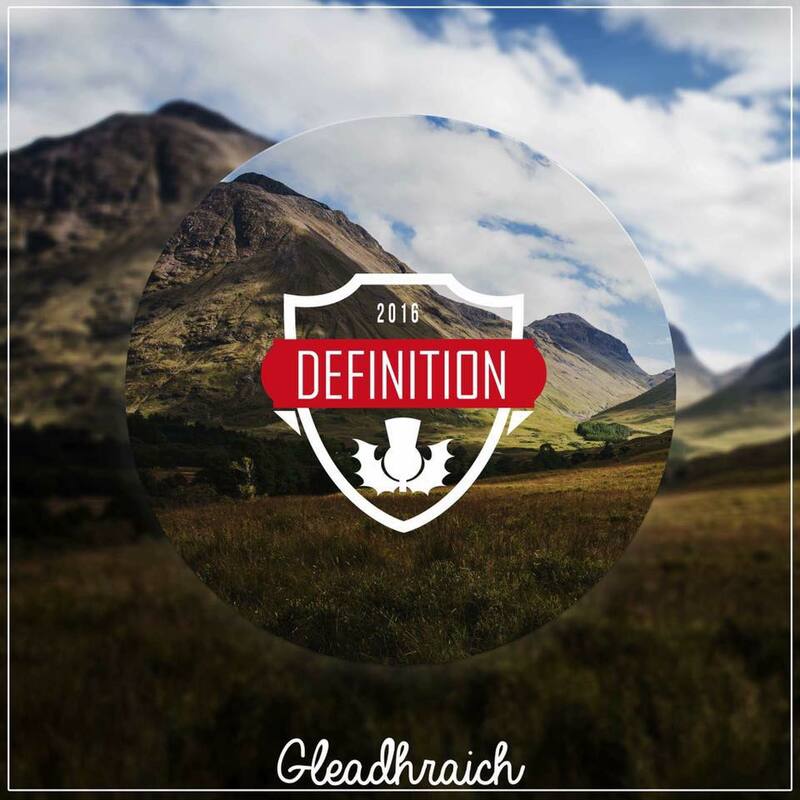 Speaking about ‘Definition’, Craig said “for the first time we felt like we truly captured the Gleadhraich sound on record. It’s a nice balance of covers and original pieces and it’s without a doubt our strongest work in terms of recording. It was great to be able to feature something so different in, The Immigrant’s Lament’ too which was the first time we’ve recorded strings on a record. Piping Today described ‘Definition’ as ‘a curious wee beastie. On one hand ‘Definition’ shares many characteristics with all those other acts who have tried to emulate the formula of the globe-trotting red-sporraned pioneers of so called ‘bagrock’ namely a mixture of bagpipes with a classic set up of guitar, bass and drumkit alongside a repertoire interchanging pop and rock ballads with ‘real pipe tunes. On the other hand the band do their level best to move away from the standard checklist and put their own stamp on the sub sub-genre’.